Much like a kid growing up in the ‘80s, both Hasbro and Michael Bay realized long ago that you can never have too many Transformers toys or Transformers movies. Back in 2015, we reported that Paramount was making plans for an endless run of sequels and spin-offs to Michael Bay’s original series of universally beloved alien robot movies that would easily outlast the human race, with the studio setting up a surprisingly well-stacked writers room in the months that followed. 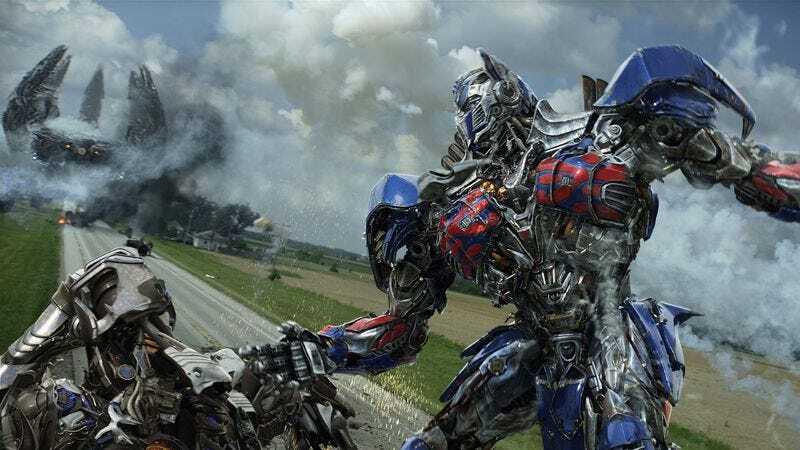 2018’s Bumblebee movie will be the first project to come out of the writers room that isn’t a proper Transformers sequel, but in a quick interview with MTV, Bay suggested that there are way more films than that in the works. As you can see in the above video, Bay says that they have “14 stories written,” and while that doesn’t mean there will be 14 more Transformers movies, it does mean that Paramount is currently sitting on 14 potential Transformers movies. There’s a chance none of them will get made, but there’s a significantly more likely chance that all 14 will get made, and fans of the old Transformers cartoon will still be lining up at theaters in 2030 hoping that the movies will finally catch up to the endearingly low bar set by that show all those years ago. Anyway, while there will always be new Transformers movies, it sounds like Michael Bay won’t actually be sticking around for all them. In that same MTV interview, he refused to say if the upcoming The Last Knight will be his final foray in Cybertron’s never-ending civil war (something he teased in February), but he did mention that he’d “like to do” one of those 14 potential movies.